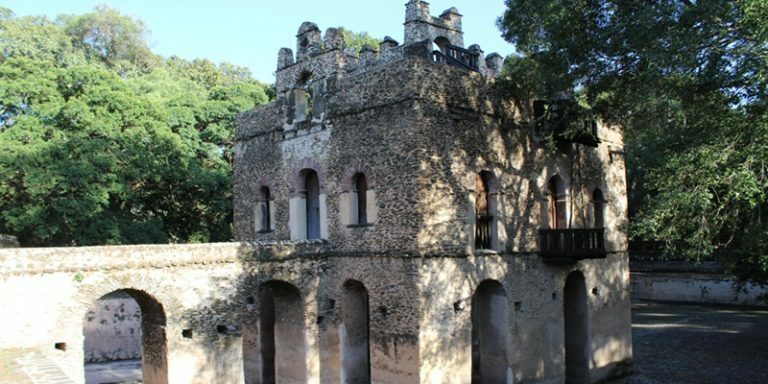 We set off early on the road northwest to Bahir dar and en-route visit the 13thc.Monastery of Debre Libanos. The Monastery was founded in the 13th century by Saint Tekla Haimanot who is credited not only with the spread of Christianity throughout the central highlands, but also with the restoration of the Solomonic dynasty, after long period of interruption from the line. The drive takes you through the central highland, the Blue Nile gorge and extensive farmlands of the highlanders. Proceed driving to the town of Gonder known as the “Camelot” of Africa; was the 17th and 18th century capital city of Ethiopia, which was founded by Emperor Fasiladas (1632 –1667) and was home to a number of emperors & warlords and kings who built several castles and palaces around the area. 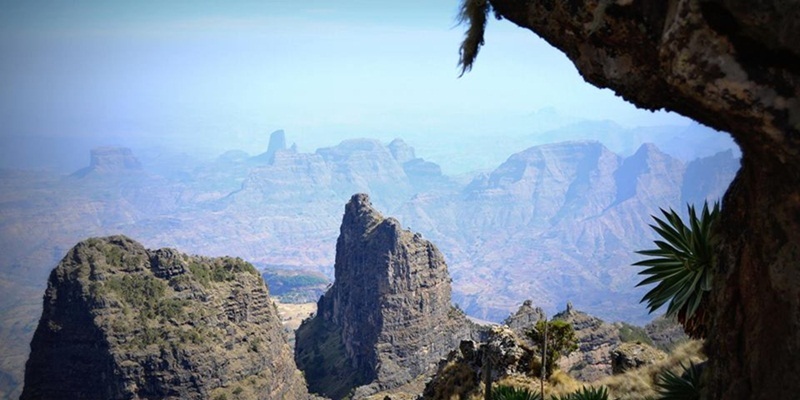 Early in the morning, you will directly drive to Simien Mountains National Park via Debark the gateway to the park and arrive at Sankaber, located 37km further from Debark. Trekking starting spot situated at 3250 meter above sea level. Lunch will be held from Lunch box, on the top of viewpoint. Then late afternoon drive back to the hotel for overnight stay. 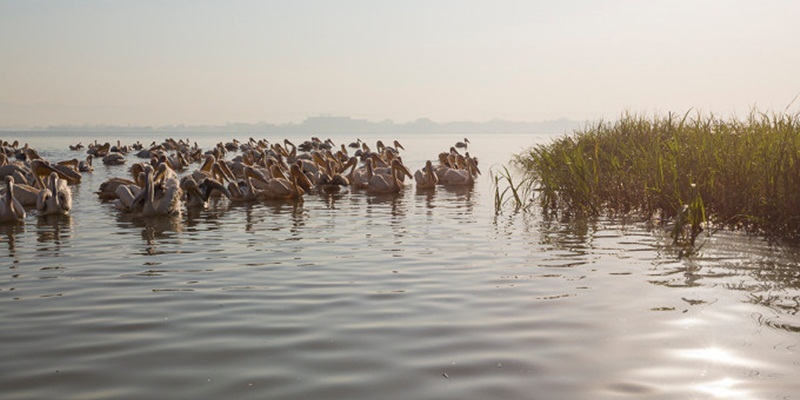 Early in the morning leave Semien Mountains National Park and drive to Axum, via one of the most scenic road of Ethiopia and the Tekeze river gorge. This trip is a trying one, but it is the most rewarding for those who love exceptional scenery. Full day visit of Axum, a place where the cradle of Ethiopian culture, Christianity and the first capital of Ethiopia until the 9th century A.D. On this day you will visit the small but rich archaeological museum, the famous stele park, where the magnificent single block of stones erected since 3rd century, the Saint Mary of Zion Cathedral, where the original Holy Ark of the Covenant is still sheltered, however except one guardian (priest) no one is allowed to enter in to the sanctuary where the ark is stayed. Continuing your visit which includes the subterranean tomb of king Kaleb and his son king Gebremeskel, 6th Century AD, the trilingual inscription of king Ezana and finally visit the ruin palace and bath of Queen of Sheba who was the mother of king Menilik I of the 950 B.C. 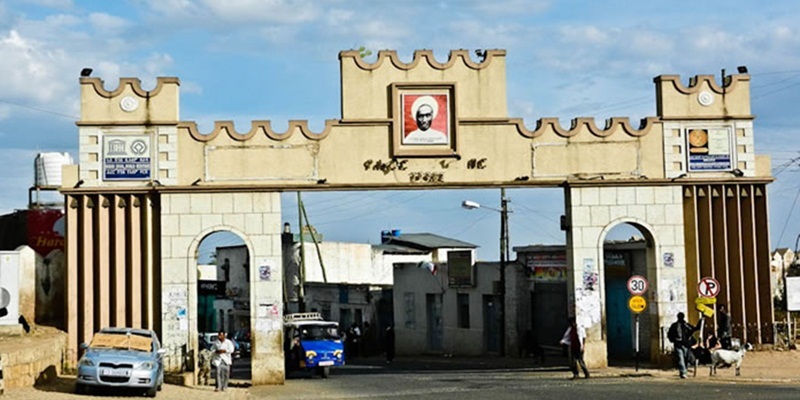 Morning leave Axum and drive to Adigirat via the town of Adwa, a place where holds huge significance for Ethiopians. It was in the hills surrounding Adwa that Emperor Menilik II defeated the Italian army. 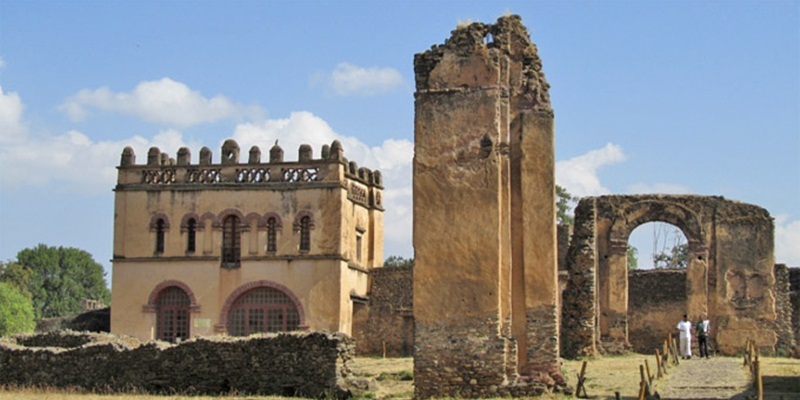 We use the town as a base for which to visit the ruins of Yeha and the monastery of Debre Damo. Yeha is famous for its huge, remarkable and well preserved 12-meter high stone temple that is thought to be over 2,500 years old.The Monastery of Debre Damo is also notable for its 6th century, built on the flat topped hill church, which is accessible only by ascending with help of the a 15 meter long leather rope, then continue driving to the town of Adgirat for overnight stay. 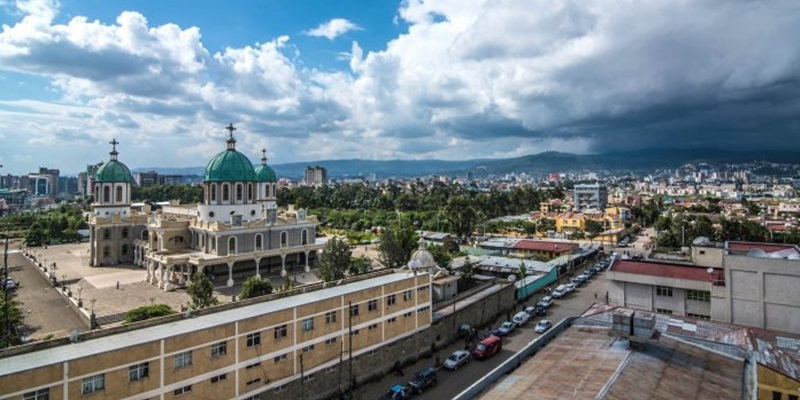 Morning drive to Mekelle, which was established in the 13th century and in the 19th century emperor Yohannes IV, made it his capital. It is a plateau land expanse, located between the Afar Depression in the east and the semien mountains in the southwest and this will allows you to enjoy the prominent geographical features.On this day, you will visit the famous rock churches of Tigray including Abreha Astebeha, it is a rock hewn church and its interior is painstakingly decorated, the semi monolithic church of Wukro Cherkos, all of its sides except the eastern side is isolated from the cliff, this will be concluded by visiting the rock churches of Yohannes Makudi, Dugum Silassie and Debre Tsion Mariam churches, then head to Mekelle for overnight stay. In the morning drive via the town of Weldia to the town of Lalibela famous, for its rock-hewn churches dating back to 800 years and is the one place in Ethiopia that no tourist should miss. Full day at Lalibela visiting the brilliant feats of engineering and architecture, are often by many referred as the “8th wonder of the world” which is exceptional to find eleven churches of such master craftsmanship in one place. In this morning among the eleven remarkable rock hewn churches built by king Lalibela in the late 12th and 13th century A.D, you will visit the first cluster of churches that represents the earthly Jerusalem. In the afternoon you will visit the second cluster of churches, which represents the heavenly Jerusalem, finally visit the most beautiful and monolithic cruciform church of Saint George, which is one of the most mind blowing sight you ever likely to see. Morning leave Lalibela and drive to Kombolcha via Woldia, on the way you will visit the monastery of Hayk Istiphanos. 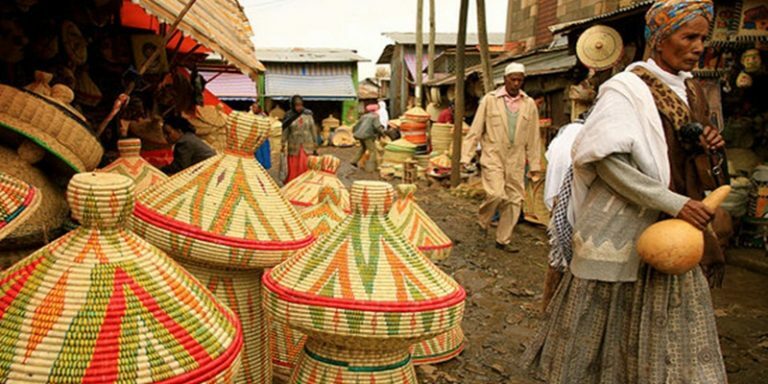 Morning drive back to Addis Ababa, on the way you will visit the colorful Bati or Senbete Markets (if you happen to be there on Monday and Sunday), when the Amhara, the Afar and the Oromo people exchange their items, then continue driving back to Addis. In the evening our company will invite you to a farewell dinner party in one of the Traditional Ethiopian Restaurants with traditional music and dances from different ethnic groups.